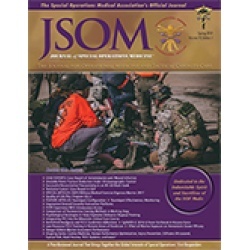 Relevant literature demonstrates the absolute necessity of Special Operations Forces (SOF) clinical narratives to the medics they teach and care they deliver, and discusses the concept of narrative pedagogy via review of extant literature and also SOF-specific clinical literature. SOF clinicians (medics, physicians' assistants, physicians, etc.) provide advanced trauma, clinical, and preventive care in the most austere of combat environments. SOF clinicians have adopted specific paradigms for schooling, teaching, learning, and practice. An overarching theme within SOF-generated clinical literature is that of hermeneutics and the narrative pedagogy; SOF clinicians generate their evidence from experience and frequently tell stories to educate their peers, colleagues, and student medics to increase the knowledge of the entire community.